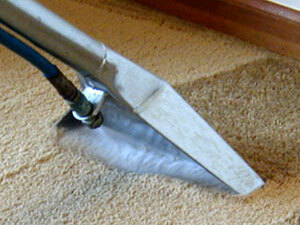 The carpet cleaning industry is certainly not new, with manufacturers holding histories that go back years and years. However, following advances in technology, manufacturers have had to adjust their philosophies and adapt to the demands of the industry. The introduction of steam carpet cleaning technology has opened up new gaps in the market, both for manufacturers and independent carpet cleaning companies. With that, the market is now saturated with brands and with all of them using similar types of technology, it’s becoming extremely competitive and difficult for the consumer to make a choice. To start with, it’s worth mentioning what exactly steam carpet cleaning is. Some sources name the procedure hot water extraction, which is not surprising considering the fact that hot water is the main element of the process. The water is sprayed onto the carpet and combines with a standard vacuum to make the steam effect. As the water is being injected into the fibres using such a method, any embedded dirt or soils in the carpet are loosened and then easily removed. A disadvantage of the procedure is that the carpet is wet immediately after, but with the area drying within around a day this should not be too much of a drawback. All of the above brands have been found to use steam carpet cleaners, which show how it is preferred through the commercial and industrial markets. A lot of the brands also use truckmount systems, which mean that the cleaning mechanism does not have to enter the property. With technology advances allowing steam carpet cleaners to be part of a truckmount system, it is no surprise to see the industry booming and for so many brands to be competing for custom.